In a world full of underserved people, organizations and communities, design needs to be a tool to empower people and affect positive change. This belief is infused into all CannonDesign efforts, but is especially apparent via our Open Hand Studio — a pro-bono design entity focused on bringing design services to those who need them most, but may not be able to afford them. Open Hand Studio exists to connect individuals with national and community organizations dedicated to providing design services for the public good, organize outreach activities and events benefitting the communities in which we work, and target pro-bono projects for clients that need design services but could not otherwise accomplish the work. Since its launch, Open Hand Studio has helped bring healthcare services to at-risk populations, create opportunities for individuals with disabilities, beautify cities, and elevate social justice, to list just a few efforts. This desire to help enrich the world is infused in CannonDesign’s DNA. We became the first to pledge to A Billion + Change, the leading effort in the United States to organize pro bono and skills-based service on a national scale. We further advanced our dedication to public interest design through partnerships on a global and local scale with leading institutions in this arena including Public Architecture and Taproot Foundation. Open Hand Studio is a program any and every CannonDesigner is able to take part in if interested. Here’s a look at some of the signature projects and efforts the pro-bono entity has taken on in recent years. The problem recognized by Next City was also recognized by numerous criminal justices, elected and appointed leaders who have stepped forward so state they believe Cook County bond court’s poor physical design negatively impacts how individuals are perceived, how bonds are set and how detainment decisions are made. Seeking help, the team of stakeholders turned to CannonDesign and Civic Consulting Alliance for help redesigning the space. A new layout that eliminates the chance of outside staff walking through or interrupting proceedings and puts the judge front and center, facing three separate tables intended to clearly delineate the three separate and equal roles of the pretrial services, public defender and state’s attorney. These changes allow judges and defendants to solely focus on the case at hand. 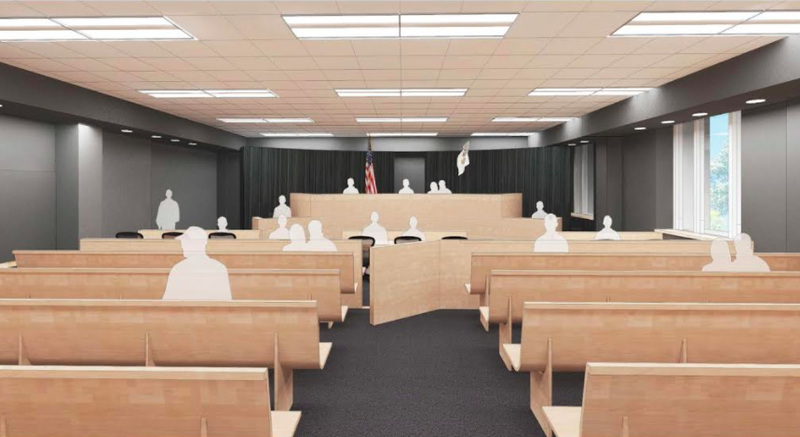 The design also eliminates extensive background noise and introduces acoustical wall treatments, soft surfaces and sound absorptive materials — all making it easier for those involved in court proceedings to communicate. The introduction of new infographics that help defendants and families understand who’s who in the courtroom and how proceedings will play out. In the wake of the devastating 2010 earthquake in Haiti that killed more than 100,000 people and impacted the entire nation, it became apparently clear that better healthcare could save Haitian lives moving forward. Recognizing this challenge, our Open Hand team connected with the opportunity to design Hôpital Sacré Coeur (Sacred Heart Hospital) to support the health and wellness needs of the Northern Haiti population for generations to come. To best deliver for the Haitian people, our team modeled its approach to one we’d taken previously in Afghanistan — committing to deep understanding of the culture, climate and health realities of the region. Designers interviewed stakeholders, analyzed strategic plans, customized demographic projections, and validated marketing and institutional health data with special focus on addressing HIV, cholera and tuberculosis patients. The result was a design and plan that became the foundation on which a new 150-bed facility capable of future expansion was planned. The design is incredibly scalable, adaptable and modular to function in the context of unreliable power, water and sanitation infrastructure along with an environment prone to earthquakes, hurricanes and infectious disease epidemics. One of the trademarks of Open Hand Studio has become its Meet & Match events that take place all across the country. These events, which are organized annually, invite non-profits with design challenges and designers throughout the industry to come together over food, drinks and presentations to forge connections that lead to socially responsible design projects. 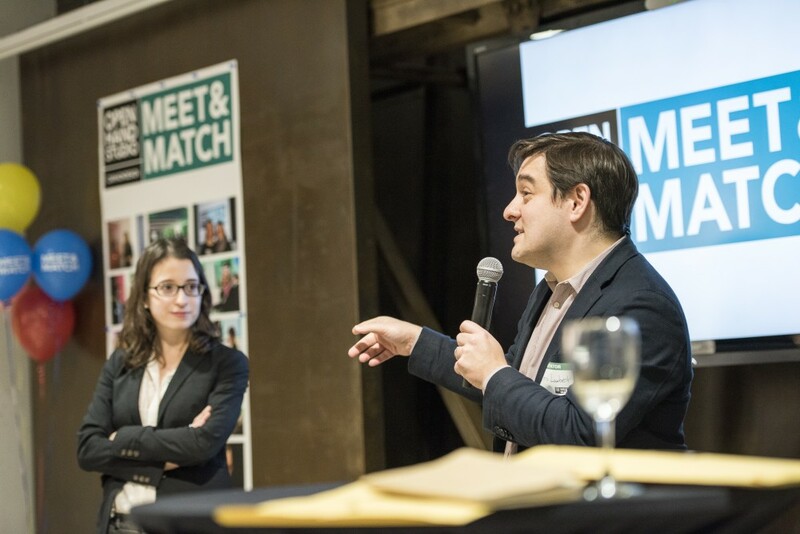 In 2016, CannonDesign hosted its sixth Meet & Match event and over 100 Chicago-based non-profits gathered in our office for more than three hours of discussion and idea sharing. Meet & Match events have become powerful platforms for civic connections. Having hosted them in Chicago, St. Louis, Buffalo, Boston and other major cities, they’ve become opportunities for communities to come together and address challenges via design. The events receive strong positive feedback and can lead to partnerships, projects and more than drive stronger futures for cities and communities. Read more about our recent Chicago event here. St. Patrick Center in St. Louis is one of Missouri’s largest providers of housing, employment and health opportunities for people who are homeless or at risk of becoming homeless. The group takes an action-based approach to service and offers programs that assist more than 8,000 people each year. Via Open Hand Studio, we helped St. Patrick Center renovate its McMurphy’s Café, the nation’s first restaurant for training those battling homelessness and mental illness to develop skills that help them find employment and opportunities for the future. McMurphy’s Café has proved so successful, the organization expanded its reach into the downtown community by opening McMurphy’s Express. The two entities provide training while offering food and meals for the residents of St. Louis. While each Open Hand effort is unique, all are united by our firm’s desire to make a difference in the world. We recognize design’s power to help people, provide hope and healing, and changes lives for the better. We try to unleash that power every day and Open Hand Studio is undoubtedly one of our best vehicles for making it happen.